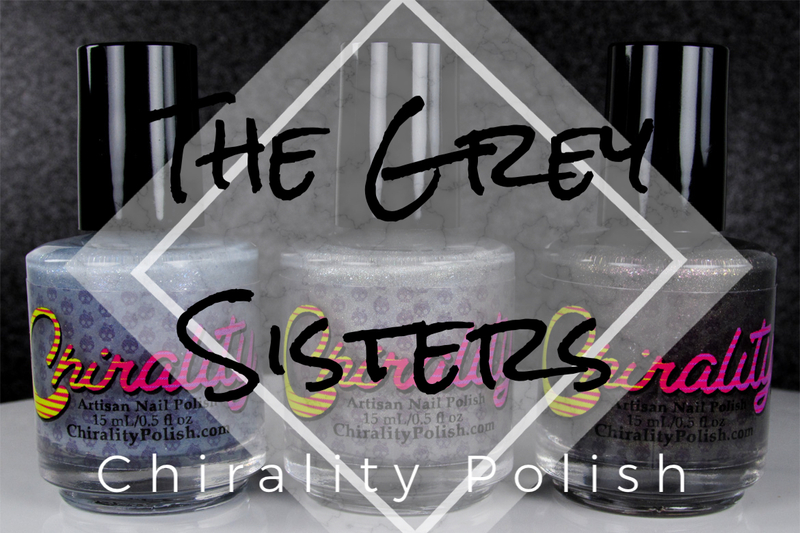 A few weeks ago, Chirality Polish launched The Gorgons Collection, based on the Gorgon sisters from Greek Mythology. In my post about that collection, I teased this new trio that Amanda was working on at the time, featuring another set of close sisters who were very good at sharing. Let’s meet The Grey Sisters. Once again, Amanda got Pseudo Ludo to create this fantastically unsettling piece of artwork for the trio! She also sent this brief piece of info on who these sisters were. 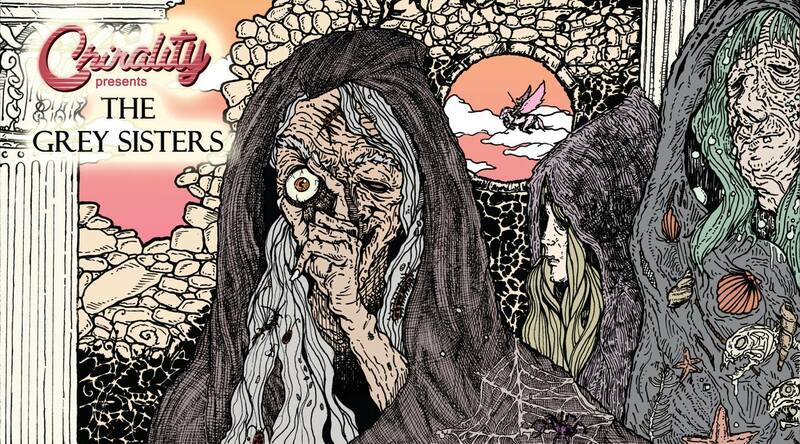 The Grey Sisters come from Greek mythology. They are the daughters of the sea god Phorcys and his sister/wife Ceto and are the sisters of the Gorgons. They kept the secret location of the cave that the Gorgons were in. The trio were very old grey-haired ladies that shared one eye and one tooth between them. Alas, the Grey Sisters did in fact reveal the secret location of the Gorgons to Perseus. Alarm has a light cadet blue base with a mix of dark navy blue and bright blue micro flakes, violet to blue color shifting micro flakes, and pops of electric purple. 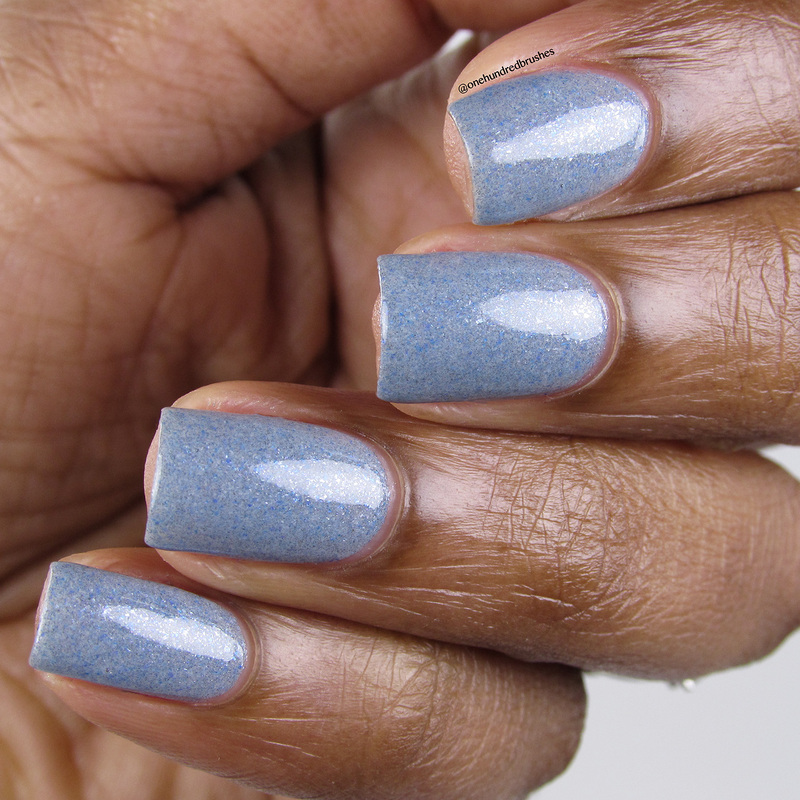 I really like this shade. 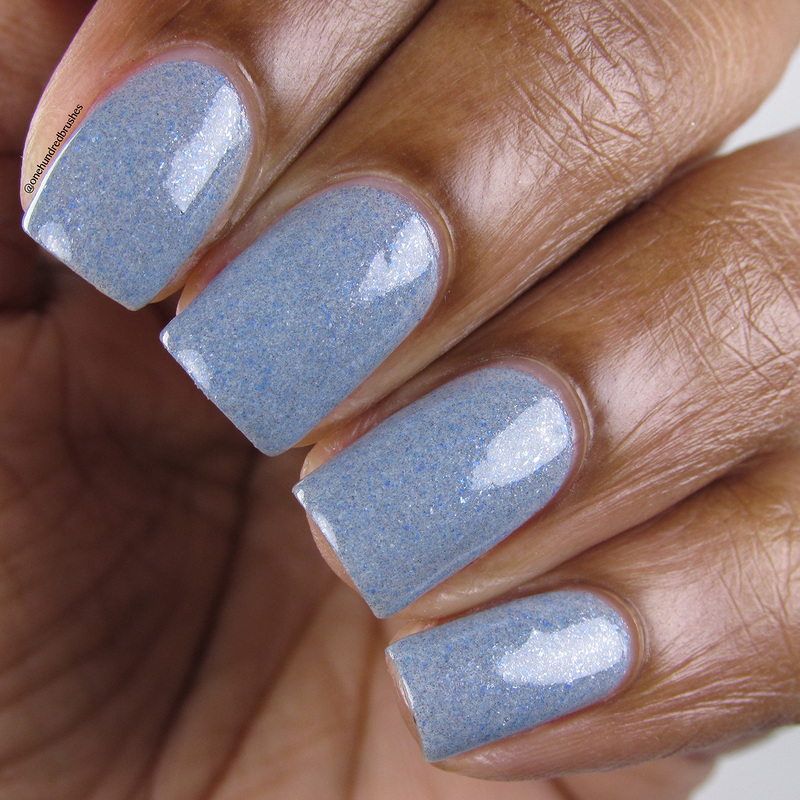 There’s a subtlety to it yet the darker shades of micro flakes give interest and complexity, making it my favorite pick. I’m wearing two coats with a glossy topcoat. This is The Dread! Look at this terrifying beauty! 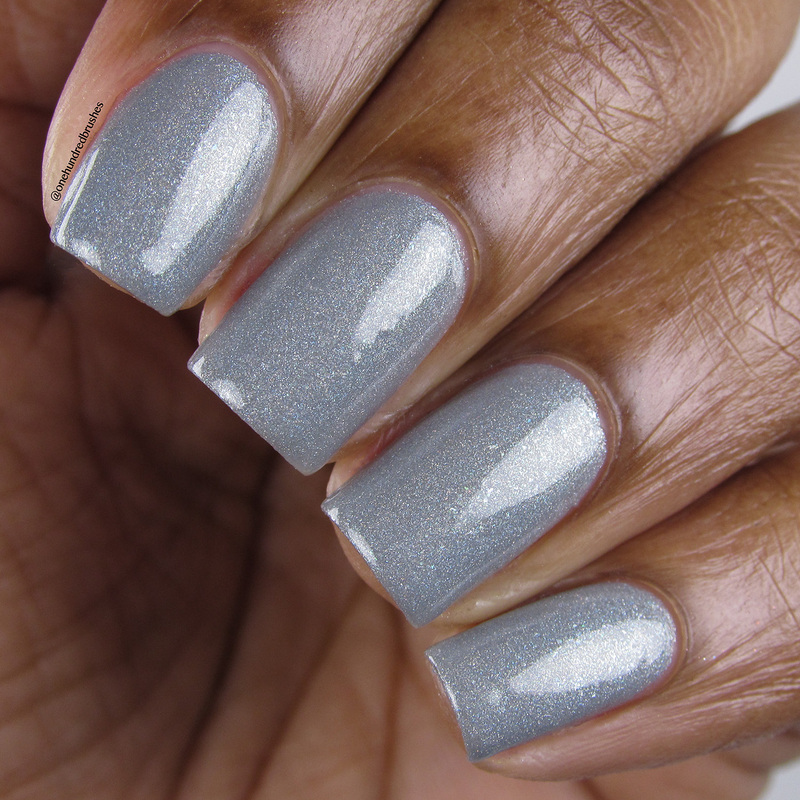 This polish has a silver-gray linear holographic base color with a golden green shimmer and pops of emerald green sparks. 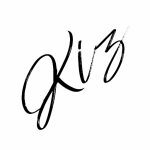 This a great, easy to wear neutral grey. I’m wearing two coats with a glossy topcoat. Finally, we have Waster of Cities, the darkest of the trio. 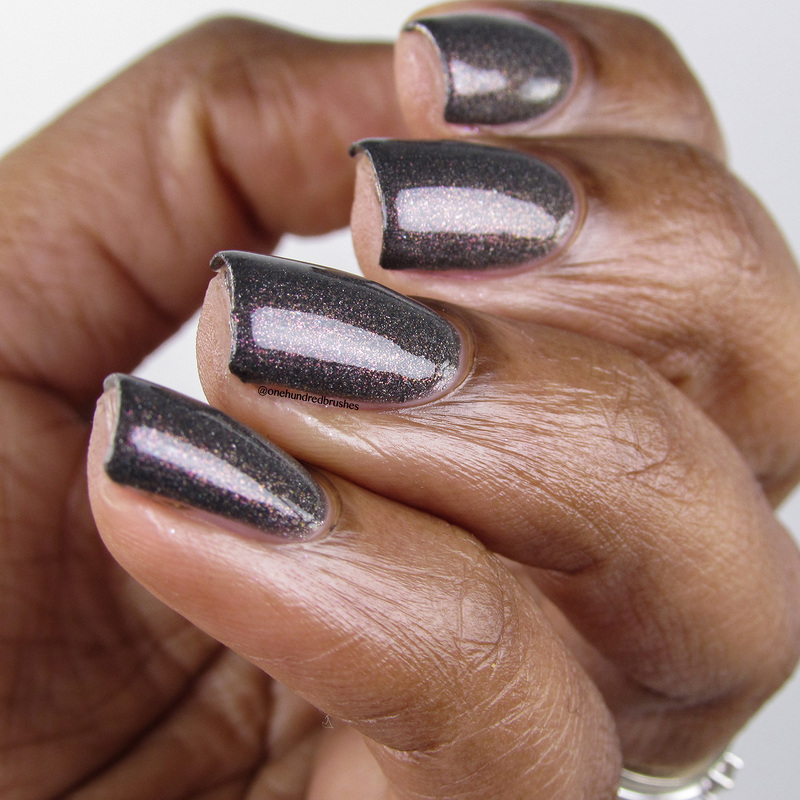 This sister’s base color is a strong graphite with a mixing of rose to saffron color shifting shimmer, scattered holographic flecks, and magenta sparks. That shifty shimmer in there is giving me all the feels!! I’m wearing two coats with glossy topcoat. 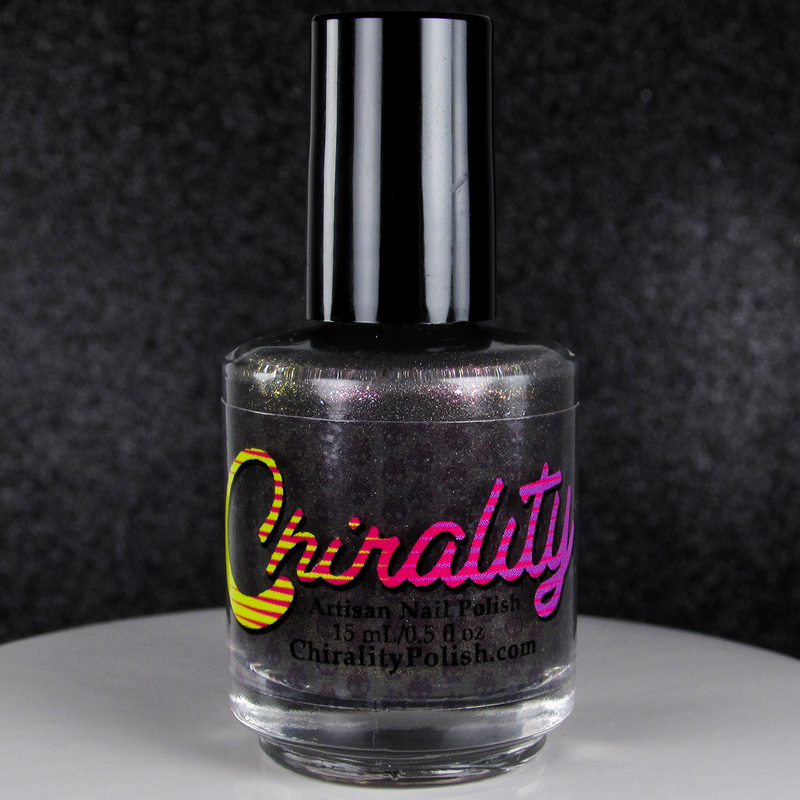 Minis are only available from Chirality’s Main Website! A limited number of Medusa themed enamel pins ($10 value) will be included in orders of a Full Size The Grey Sisters Collection. A limited number of rose gold plated Medusa charms will be included with ANY order of a Full Size Grey Sisters polish. Do you have a favorite out of the trio? 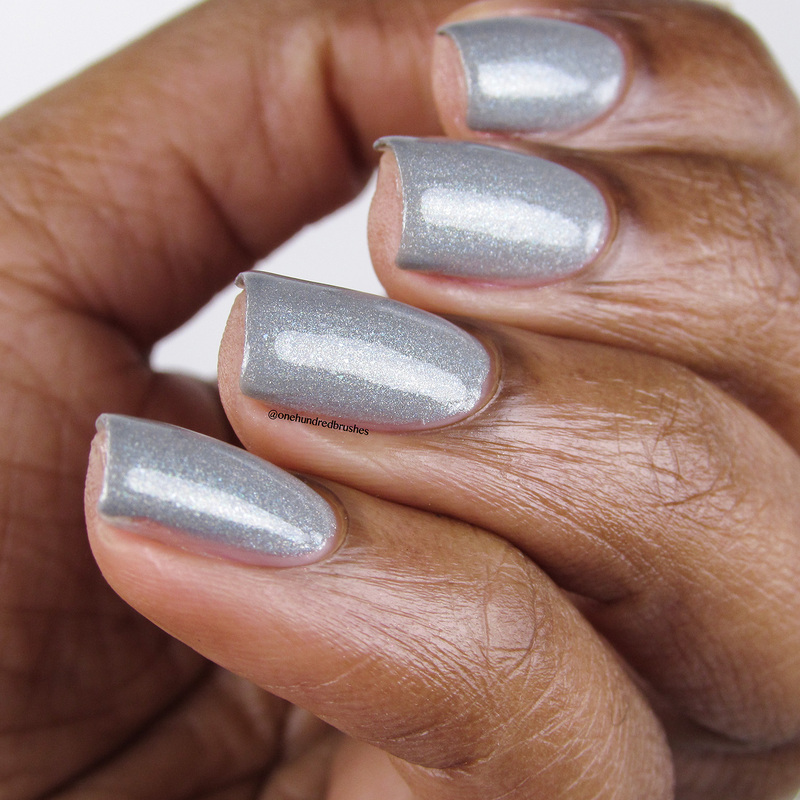 Are you a fan of grey nail polish?